The story of this historic Savannah inn—East Bay Inn—began September 7, 1762, when the land on which it now stands was granted to Mr. John Tucker by the Crown of England. Over the next 90 years, the property changed hands several times. On June 17, 1852, Edward Padefford purchased the property and began construction on the building that would one day become the East Bay Inn. The simple design of the building, with its tall windows and elegant brickwork, echoes the Greek Revival Style that was popular in Savannah around the time of the Civil War. As typical with most commercial buildings of the period, the first floor features a façade made entirely of cast iron. The interior columns are also cast iron and can still be seen in the lobby and guest rooms. Cotton was king during this plentiful era of Savannah, and offices for cotton merchants—factors as they were called—and cotton warehouses were located within the building. By the late 1800s, additional tenants included a steam bakery in the 1860s and foreign consul offices in the 1880s. During this time, cotton and grocery warehouses continued to be located on the lower levels of the building. The third floor housed a lodge meeting hall. 1910 saw the last of the cotton merchants with offices in the building, as U.S. cotton sales were on the decline. In 1920, the Columbia Drug Company started their reign as the building’s longest tenant. 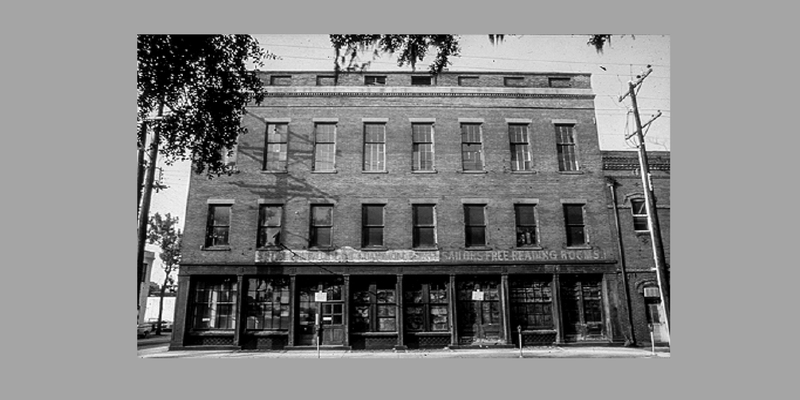 From 1965 to 1983, this building—along with many in downtown Savannah—stood vacant. The 1980s saw a renewed interest in the historic preservation of the city, and in 1983, the building was purchased again. This historic structure was immediately renovated from a derelict old building into the East Bay Inn. Reconstruction was completed in 1984.